Church communications is complex. Anyone who thinks it’s easy isn’t doing it the right way. It requires creativity, lots of time, juggling of information, plus volunteers and staff working on it all. 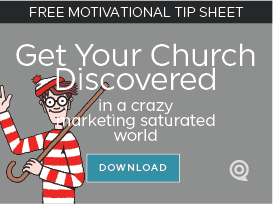 Many churches are spending a lot of time feeding their digital hub. The website’s the central hub with social media and email complementing the web communications. Their congregation knows what’s going on and are engaged because of an effective communication’s job. Bravo. But is this really what we’re doing “church” for? Sadly, we’re the reason for the “country club” accusations. We need to stop focusing internally and make sure our focus is external too. We must be found and presented to our greater communities. That’s exceptionally difficult to do. We must rely on the power of Google, Yahoo, and Bing. The community is going to the search engines and asking for things they need. These engines are recommending web pages full of solutions. Is your church a solution? Solutions are presented. Some people (perhaps 10-25% of the average community?) may be looking for a church in your community. 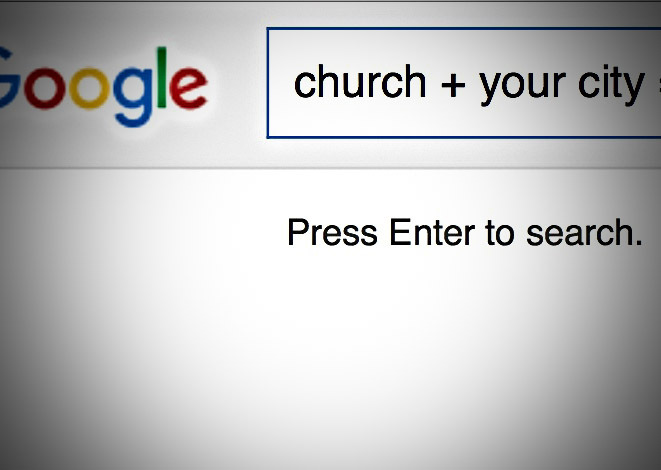 They’ll probably find you if they type your denomination and city (try it now). But what about the vast majority of people who are looking for other needs? Marriage help, kid’s activities, family problems, etc. Are you known for any of these problems or solutions? In order for this to happen, you must use the same words throughout your website so that the search engines start knowing you’re an expert with these issues. These few keywords should also be added to your metatag programming. Headlines (H1 tags) and first paragraphs should contain your keywords to alert Google you mean business with them. Reviews. When you googled your city and the word “church” you got a list of churches in your area along with reviews for the churches. Want to move up on that list? Usually “Google reviews” can do that. They also help people understand what your solutions are. Ask people to write some reviews using your keywords in them! Your Information is Current. The search engines continually catalog websites (content, keywords, etc) so they can deliver search results quickly. This happens every week to 10 days. Google notices when you’re updating pages. They assume that you’re an expert on that page’s topic and they’ll recommend you before someone who doesn’t update their pages regularly. Update your page content regularly! Now. If you invest a lot of time to engage your community with what you’re doing, be sure that Google knows so that they’ll help attract people to your church. If not, you’re just talking to yourself.